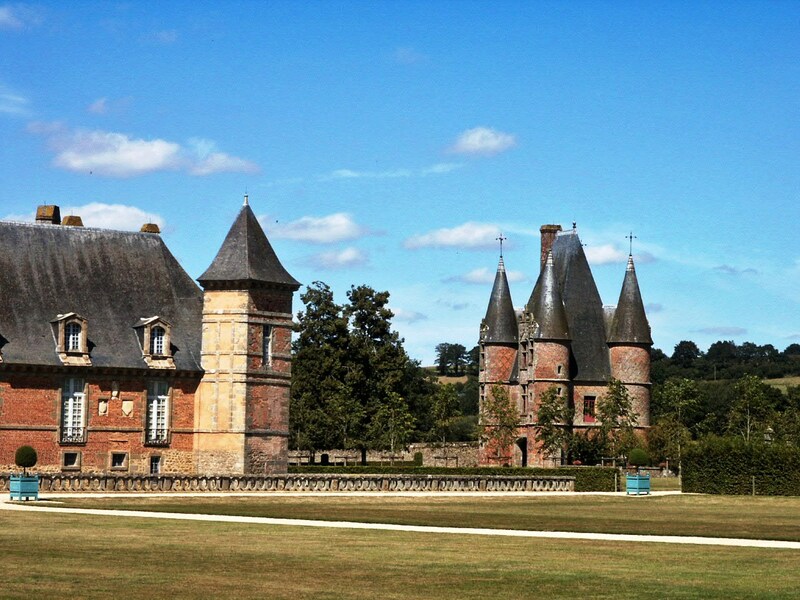 This weekend sees the annual summer fair at Château de Carrouges. 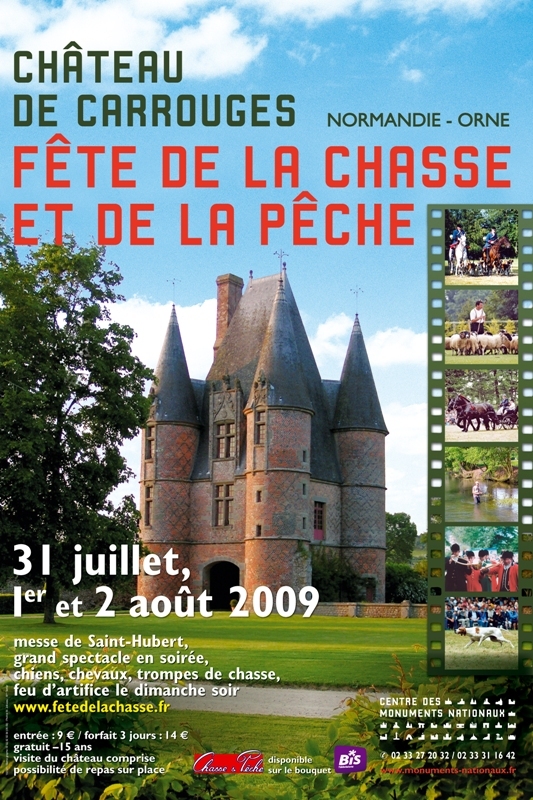 Themed around horseback hunting and fishing, the “Fête de la Chasse et de la Pêche” attracts over 75,000 visitors to Carrouges each year. The entry ticket includes a tour of the château interior – the Château de Carrouges is always worth a visit and is open all year round apart from Xmas Day. See separate posts Château de Carrouges for details of visits at other times of year. The fair is spread over 30 hectares in the grounds of this magnificent château, with shows and demonstrations on various topics such as dogs, horses, hunting horns, fishing, forestry, Normandy produce (cider, cheese, calvados etc. ), sheep dog trials taking place throughout the first weekend of August 5friday to Sunday). Both official and friendly competitions and events take place during the weekend. Lots of food ans snack stalls, bars, tastings etc. plus special temporary restaurants serving full menus from 15€ to 23€ for a “menu gastronomique”. Adults 9€, up to 15 years old free. From 10am: Visits to the Castle, produce stands and “villages”. Carrouges is about 30 minutes from our bed and breakfast, just to the the north-east of Alençon.